Whomp whomp. There're no Heroic Age Iron Men for sale. This is the sleekest, most lightweight armor ever designed by Tony Stark. Built to meet the parameters of any possible challenge, it is covered in ports that can house any of hundreds of mission-specific modules. In the space of moments, this armor can swap out a suite of research scanners for a weapons package that would put most battleships to shame. 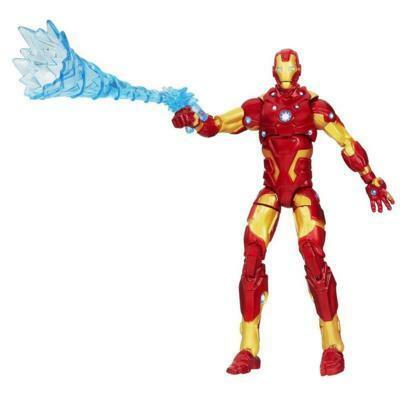 The enemies of justice don't stand a chance with your Heroic Age Iron Man figure in the fight!